I never thought I'd write a retelling. Oh sure, we can argue that every story comes down to one of a few basic plot lines, which is why we see all those graphics comparing hero journeys like Harry Potter and Lord of the Rings and Star Wars. But with plenty of ideas in my mind for characters I'd like to visit and get to know, a retelling was never the plan. And yet... July 13th, 2014, I got to attend the San Francisco Opera's performance of Verdi's La Traviata. The first lines of my retelling, Fallen, wrote themselves in my mind even as I was trying to focus on the performance. Of course, this wasn't actually my first exposure to this story. An adaptation of the same story will be familiar to many of you: ever heard of the movie Moulin Rouge!? The first time I saw it, the tragic ending destroyed me. (Is it any wonder I usually write romances—i.e. stories with happily ever afters?) By the time I saw the opera, I was a bit more in control of my emotions. But still, the story latched on and wouldn't let go. Of course, Verdi's opera is not the original version of this story either. After jotting down the words that hit me while still in the opera house, I decided to read the original source material: La Dame aux camélias [The Lady of the Camellias] by Alexandre Dumas, fils. The story has been adapted numerous times for the stage—as an opera, and multiple ballets and plays—and many times for the screen, including the 1936 film Camille, starring Greta Garbo, and the aforementioned Moulin Rouge!. Clearly, it is a story that resonates with many. One thing that hit me in both Moulin Rouge! and La Traviata, the only two I'd seen when I started writing*, is that the story is framed around the hero—a young man, naive about the world, who falls in love with a fatally ill courtesan and is transformed by the experience. Unsurprising, as it turned out the original story is told almost entirely from the hero's perspective, recounted after the fact to an interested party (remember how Christian "writes their story" in the end? A direct reference to the original framework). The heroine's perspective in the original is relegated to a letter at the end, explaining the pieces the hero didn't know. Both the opera and 2001 film gave a bit more depth to the heroine, exploring her perspective on the notion of love, but still primarily used her as a learning experience for their heroes. Perhaps this is because in all three versions, the heroine is a woman who sells herself first, and becomes sick second. 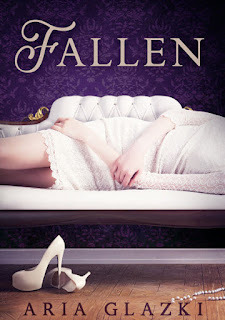 Not so in Fallen, where I wanted to focus more on the heroine, on what drives the choices she makes, as well as the reasons behind them. On how a fatal illness shapes her life, her decisions, and of course her relationships. Still, I was presented with the challenge of bringing a consumptive courtesan's tragic love story into the 21st century. Hopefully, by the time the story is ready for publication, I will have succeeded. Meanwhile, you can add it on Goodreads and check out the first chapters on Patreon! Introducing My Brand New Patreon Page!